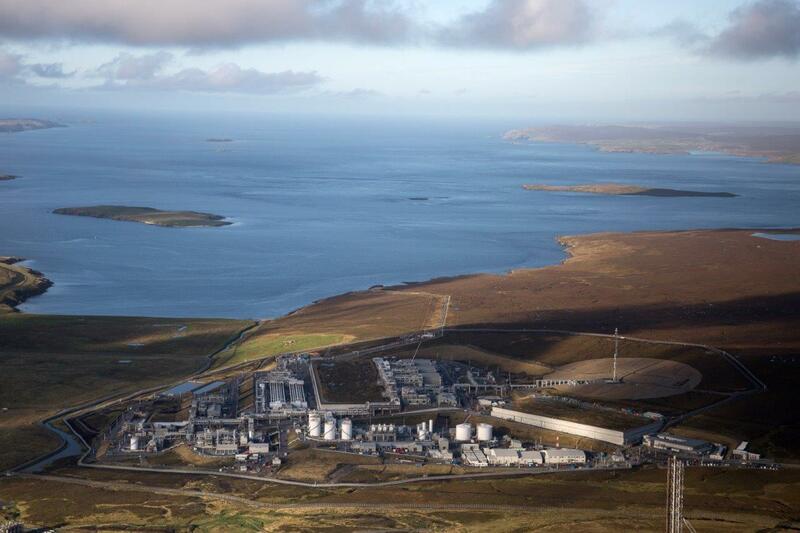 Shetland Gas Plant, which takes gas produced from the Greater Laggan Area. Oil major Total hopes a new well on its Laggan field will help it crack “compartmentalisation” issues on a reservoir which came off plateau about a year after first gas. The Paris-headquartered oil major said project partners had sanctioned the drilling of a fifth well, called L5, with the campaign slated to start in March 2019. Total identified the risk of compartmentalisation in its final investment decision for the project and said the drilling of additional wells was always part of the development plan. Jean-Luc Guiziou, managing director of Total E&P UK, said the company had gleaned a “good understanding” of Laggan and that the reservoir, located west of Shetland, was behaving as expected. The Laggan and Tormore fields came on stream early in 2016 following £3.5 billion worth of investment in a new plant in Shetland to process the gas. The fields produced more than 100,000 barrels per day mid-September 2016, according to data on the Oil and Gas Authority’s website. Laggan came of plateau in 2017, but first gas from the Edradour and Glenlivet fields in August has helped maintain levels of gas sent to the Shetland plant. Mr Guiziou said production from the four fields is currently in line Total’s target plateau rate of 90,000 barrels per day for the Greater Laggan Area and has been consistent for some time. He said: “The L5 well is planned to address some of the compartmentalisation of the reservoir. We knew we had a reservoir with compartments, so L5 is one of those wells that is needed to maintain the plateau and to address some additional reserves in the compartment. “The fact that the plateau would start decreasing is just normal. “Laggan-Tormore production is as per our understanding of the formation. In fact, well delivery and production we get from the wells is quite positive. We have very good quality wells. Seismic surveys shot in 2017 have further improved Total’s understanding of Laggan. The discovery of 1 trillion cubic feet of recoverable gas at the Glendronach well – announced earlier this week − promises to keep the Shetland Gas Plant well stocked. Project partner SSE, which has 20% stake in Laggan, said in its 2017 annual report that it had booked an exceptional charge of £180.5 million “in relation to the Greater Laggan field following a reduction in the independently assessed quantity of available proved and probable hydrocarbon resources”. Mr Guiziou said there had been no reassessment of reserves at Laggan-Tormore or talk of underperformance at Total, which has a 60% operated stake in the assets. The other partner is Ineos, on 20%. He said: “When launched the development we did it on the basis of a best guess in terms of resource and the plateau that goes with it.